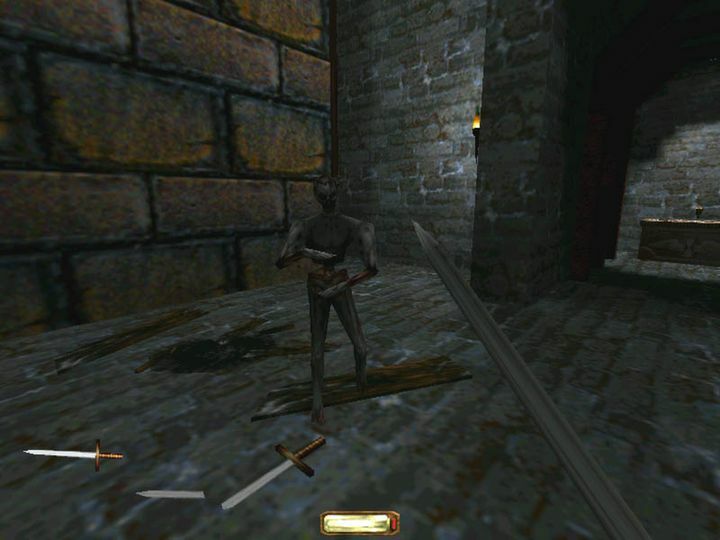 Back in 1998, video game companies were mostly putting out Doom-style shooters, making Thief: The Dark Project a breath of fresh air. The reason for this is that developer Looking Glass refused to put players in the shoes of an invincible marine or superhero here. Rather, you took the mantle of thief Garret, while the game focused almost exclusively on stealth – something truly ground-breaking at the time. Actually, while stealth gameplay is a part of everything from Assassin’s Creed to Metal Gear Solid these days, it can be said Thief single-handedly invented the genre, while the game’s Steampunk atmosphere was second to none too. Skulking in the shadows, you could knock guards out with Garret’s trusty blackjack, or kill opponents with a well-placed arrow to the head while sitting in a dark corner. Of course, you could also go toe to toe with foes in a swordfight, but staying undetected was always more fun. This also had an intriguing story about a long-forgotten evil coming back to the fore which was fun to follow through, in what surely is a classic game most people won’t soon forget. Release date: November 30, 1998. Available on PC.